Home English Who is Funding Pro-Putin Paramilitary Formations in America? 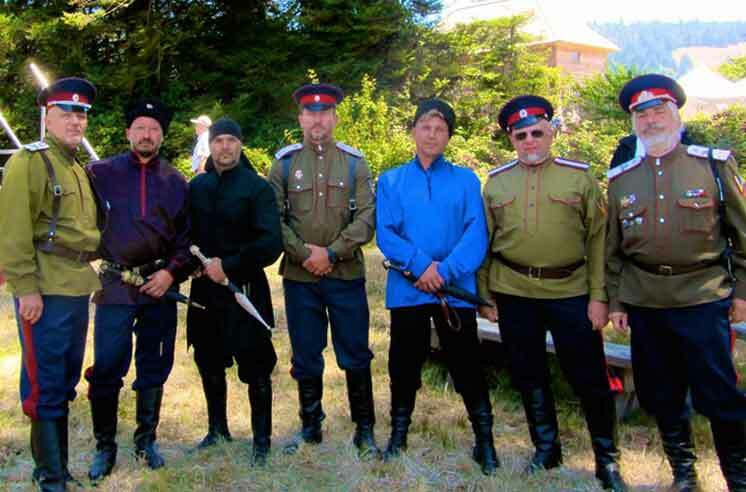 How Moscow and California are funding paramilitary Cossack formations in the United States. Last year we published an article about a network of Russian paramilitary units operating on US territory for long periods of time and are also supported by representatives of the Russian Embassy and Consulate. Afterwards we received a large number of messages from concerned citizens and numerous calls from media outlets around the world. 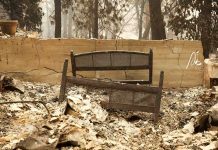 The material was translated into several languages ​​and widely distributed in the US as well as abroad, particularly in Ukraine, Bulgaria and the Baltic countries. American intelligence services took an interest to the publication as well. Today we are ready to publish the second part of our investigation, in which the financial element of Putin’s troops in America is disclosed. Now, a brief overview of the main player: one of the most active leaders of Russian Cossacks on the West Coast of the U.S. – ataman Stanislav Kholodkov. Kholodkov is head of the self-established Cossacks National Union, headquartered in Sacramento, California. In his homeland, one of the former Soviet republics – Kyrgyzstan, Kholodkov is known to be skilled in hand-to-hand combat, and is appointed first commander of the 25th elite unit “Scorpion” of the Kyrgyz Special Forces. There is a good reason why the elite unit is named ‘Scorpion’, his colleagues testify, they earned it for their military combat abilities. The ‘Scorpion’ fighters, reporting exclusively to the GRU (Main Intelligence Directorate) and personally to the President of Kyrgyzstan, are taught parachuting, firearms, hand-to-hand combat, land navigation and orientation, camouflage, covert operation, losing tails, survival, interrogation skills and other combat and insurgent skills. 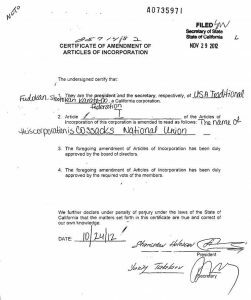 In 2004, the Cossack National Union was registered by Stanislav Kholodkov in California as a non-profit sports organization called the US Traditional Fudokan-Shotokan Karate-do Federation. 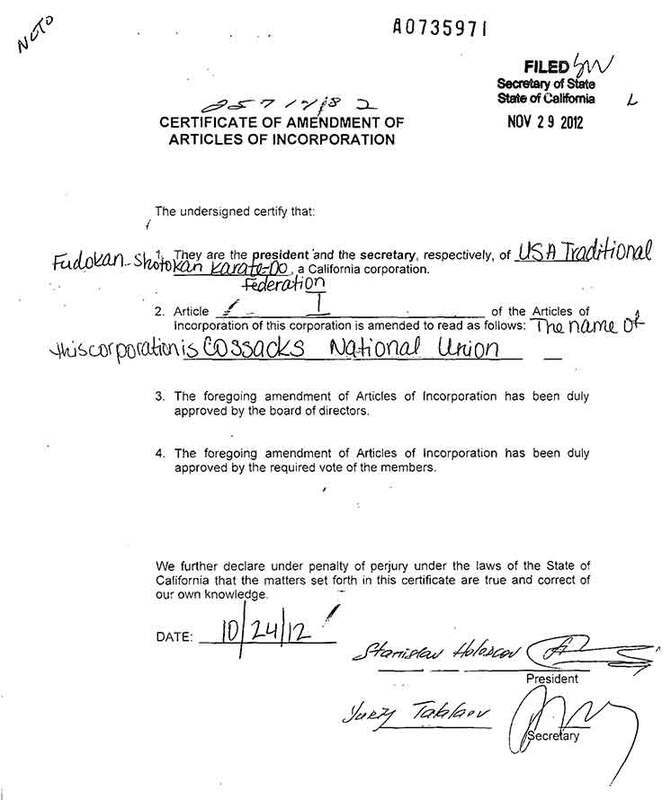 Eight years later, it was incorporated and renamed the Cossacks National Union. The secretary of the corporation is Yuri Talalayev, the treasurer – Julia Zhurko. 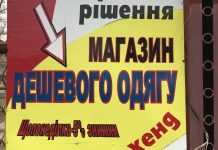 In March 2015 while in one of the youth camps, I witnessed a conversation between the pastor of the Slavic missionary church “Bethany” Pavel Lashchuk and the ataman Kholodkov, in which the transfer of money to the church on the basis of renting the Christian camp property was discussed. Then the former GRU Special Forces Commander Kholodkov’s squad turned the church camp into an actual training camp which for several years conducted sport and combat training, pumping young fighters full of Russian propaganda. 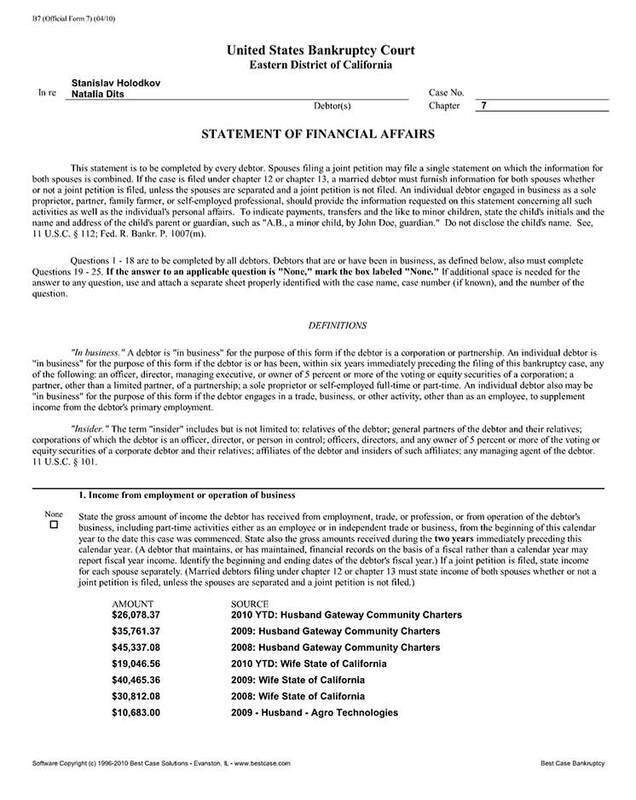 Who finances the activities operated by the Californian Cossacks? 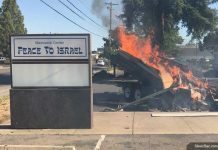 After all, in order to conduct such “cultural sports” activities, rent a territory, rent premises, advertise their services in the local press, purchase transatlantic air tickets, requires substantial funds. In particular, the pupils of his school collectively with the pupils from Kholodkov’s schools perform at Russian cultural festivals, demonstrating their physical development and “readiness to defend the Fatherland” (implying Russia, where a significant part of the Russian-speaking immigrants from the region came from). Lukyanov, for instance, organizes patriotic camps for children in the forests of Oregon, where members undergo combat training, complete forced marches, learn the basics of surviving in a forest and learn to navigate terrain. Going to the forest, the Portland Cossacks flaunt Russian AKMs. Cooperating with Lukyanov’s cell, Stanislav Kholodkov tells young compatriots about the traditions of the Airborne Forces of the Russian Federation who have repeatedly “shown courage and heroism in local conflicts and various special operations,” reports the press center of the World Coordinating Council of Russian Compatriots, an organization overseen by the Kremlin. 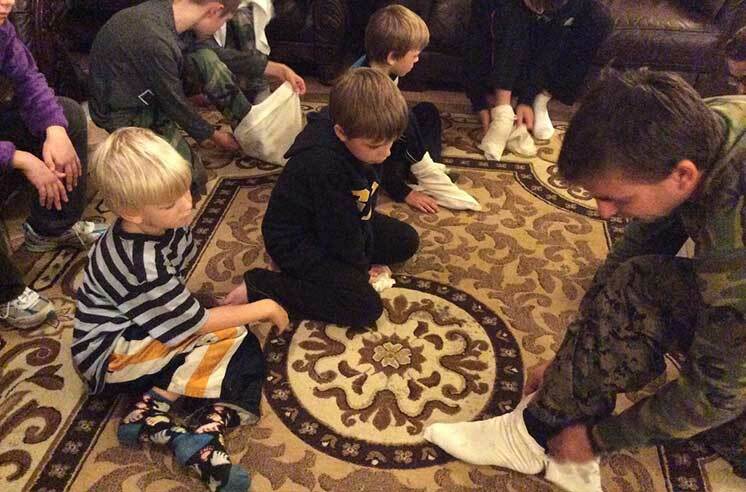 Here is the amusing part: under the leadership of Colonel Kholodkov, American children learn to use the invention of the Russian army – portyanki (special socks folded out of a piece of fabric)! Meanwhile the son of the Californian ataman Yaroslav Kholodkov, who takes an active part in combat competitions arranged on the West Coast by his father, works as part of the Traffic Police in the State of Washington. Recently, he distinguished himself by saving a man who tried to commit suicide from his last, fatal step. However, behind the scenes of high-profile or often openly paid media events there are things that neither Kholodkov, nor his entourage, nor Russian officials are willing to talk about. So Stanislav Kholodkov is not a Cossack colonel at all, and has nothing to do with Cossacks in the United States, claims Igor Baboshkin, former head of the Russian American Coordination Council, from New York. Kholodkov with Russian officials in Moscow discussing Cossack’s formations in U.S.
Baboshkin, who worked closely with the Ministry of Foreign Affairs of Russia for a long time, claimed that his organization had been seized by the Russian embassy, ​​which today appoints leaders who are exceptionally favored by the Kremlin and actively uses outright criminals and “wild cards” like Kholodkov. According to Baboshkin, in 2010, the order of the Supreme Ataman of the Union of Cossack formations of the Russian Federation A.P. Demin, Kholodkov was appointed as a representative of the Supreme Headquarters of the Cossack League (SCL) of the Russian Federation in the western region of the United States. By the same order he was awarded the Cossack rank of colonel of the Cossack troops of Russia. The Russian press, in particular the newspaper Izvestia, characterized the organization of Demin as racketeering. Demin himself has a criminal past in Russia. In particular, several hundreds of GFR certificates (same as the one presented to Kholodkov) were distributed by Demin to members of a Chechen criminal group that was engaged in racketeering under the guise of collecting “voluntary donations for the revival of the Cossacks”. Ataman Demin himself was detained in 1997 by Russian law enforcement agencies when he attempted to smuggle a large quantity of precious stones into England using forged documents. Moreover, under the decision of the Russian court the Union of Cossacks ceased to exist less than a year after the appointment of Kholodkov – June 2, 2011. After the court decision to liquidate the GFR, all ranks and positions given to or by this organization – including Kholodkov’s Colonel insignia – have no real merit. That is, the certificate that appoints Kholodkov as a Colonel of the Cossack troops of Russia – “a complete sham”, claims Baboshkin. 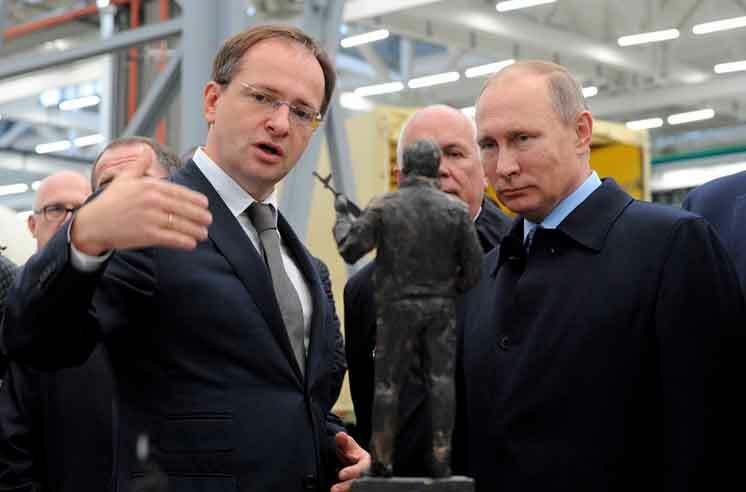 Moreover, he claims that the 10th dan (rank) in karate that Kholodkov holds was granted to him by his own sports association, which Stanislav himself registered and appears to be the president of. For comparison, the famous actor Steven Seagal only has the 7th dan and the famous karate master Kim from Korea, who once trained a royal family during his time, now lives in the US and has the official 9th ​​dan. 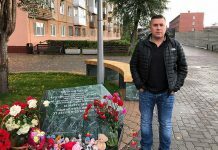 Why does the embassy support the activities of people like Kholodkov? As previously mentioned, the Californian Cossacks and their phony colonel maintain an extremely close relationship with the Russian embassy in Washington, as well as with representatives of its branch (now closed) in San Francisco. Not a single one of the important Cossack events went down without the participation of Russian diplomats, including diplomatic representatives of the highest rank, such as the Consul General of the Russian Federation in San Francisco, Sergei Petrov. The editorial board of the Slavic Sacramento, in particular, ended up with photos of military sports events that resemble combat training in Soviet schools. In the photos you can see the Consul General of the Russian Federation Sergei Petrov and his deputy Andrei Varlamov, who were later scandalously expelled from the US by the Trump administration for espionage. 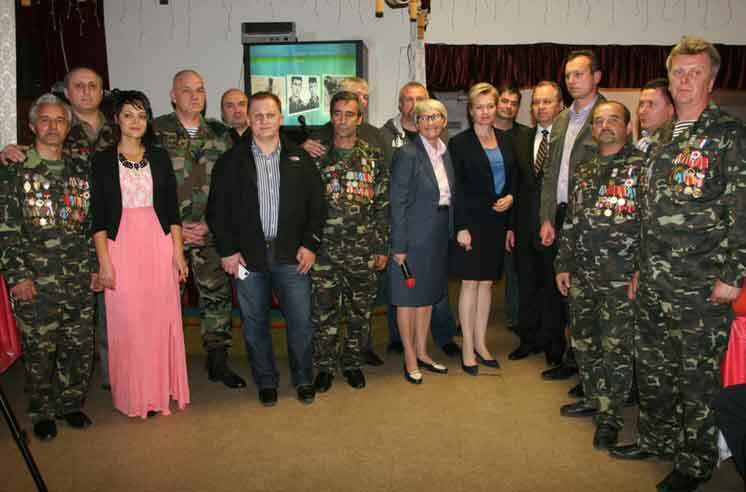 Along with high diplomats, the honorary consul of the Russian Federation in Sacramento Natalia Owen and other representatives of the Russian Foreign Ministry were captured in the photographs while watching the course of events and presenting special certificates and awards to the participants. In other photographs, the Russian Cossacks were filmed with the staff of the Russian consulate in San Francisco that was closed under accusation of espionage. To achieve these goals, the society oversees activities in various aspects – erecting monuments to Soviet soldiers, the sponsorship of “correct” films (the recently released Sobibor is one of the most successful out of all of them), as well as the creation of children’s military patriotic camps. The organization is immediately supervised by several military departments: the Ministry of Defense, the Ministry of Internal Affairs and the Federal Security Service of the Russian Federation. The society council includes head of the Russian private business group Renova Viktor Vekselberg, one of the Russian oligarchs close to the Kremlin. As we know, Fort Ross, a historical military fortress two hours north of San Francisco, which belonged to the Russian Empire until the second half of the 19th century, is financed by the Renova Foundation. This corner was chosen by the Californian Cossacks, who then regularly held their meetings and solemn performances here. Interestingly, Viktor Vekselberg and a number of his companies recently found themselves on Washington’s new sanctions lists which seriously affected the work of the Renova Fort Ross Foundation financed by the oligarch. The above-mentioned fund was engaged in the restoration of the historic Russian settlement of Fort Ross and the promotion of Russian culture on American soil. The chairman of the Military Historical Society is the former Soviet Komsomol member, and now state and political figure, Minister of Culture of the Russian Federation Vladimir Medinsky. According to the Ministry of Justice of the Russian Federation, the Russian Military Historical Society receives funding exclusively from the state treasury and from the oligarchs close to the Kremlin. 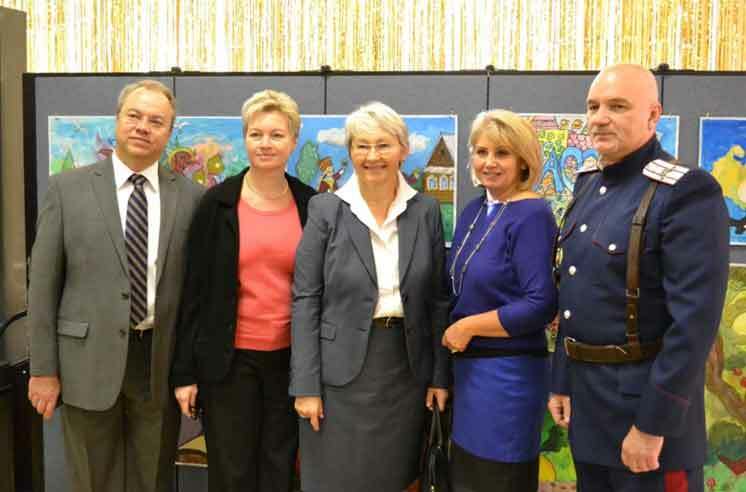 The society closely cooperates with the Ministry of Culture of the Russian Federation. The funds allocated to the Russian Military Historical Society are sponsored by various patriotic projects in Russia and abroad. In 2017, the organization’s budget amounted to 700 million rubles ($11 million) and continues to grow rapidly. 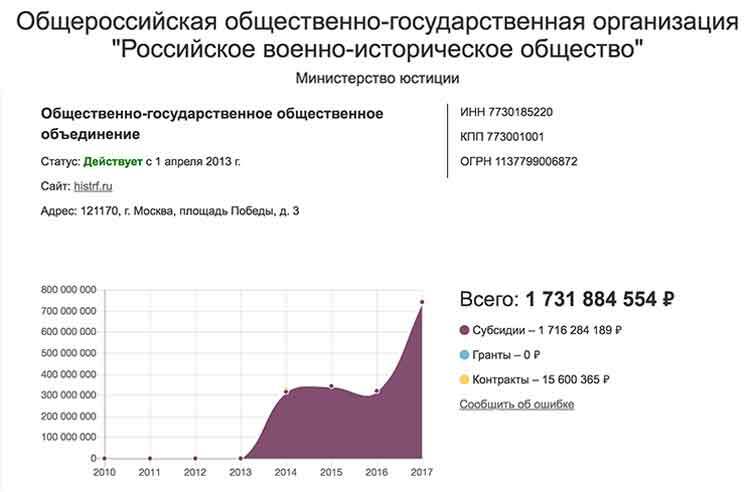 Since its inception, the RIO has “gained” 7.7 billion rubles ($125 million). The society also finances dozens of military-patriotic camps throughout Russia and Crimea. In these camps, Russian teenagers (just like those in California and Oregon) study the military history of the country, watch propaganda films and study military affairs. 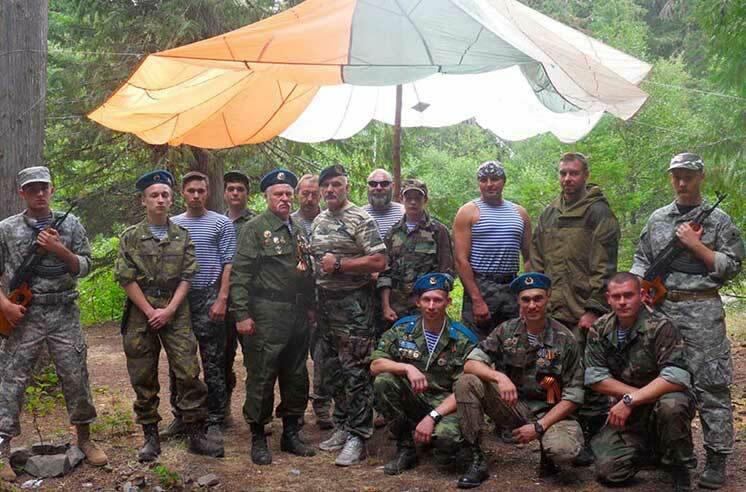 Among the partners of the organization you can find the Union of Russian paratroopers, whose flag flies over the staff tent of Russians in the Oregon forests. Two years after its formation, the Russian Military Historical Society officially announced its partnership with the Cossack People’s Union of California. “The Cossack People’s Union (ataman Stanislav Kholodkov) will assist the Russian Military Historical Society in implementing international projects related to the study of military history. It has also planned to unite efforts in conducting research and archival work, organizing scientific-practical conferences, seminars, programs aimed at understanding their historical roots, strengthening patriotism, traditions and succession, “reads the official press release of the RVIO. “The Cossack People’s Union has quickly gained cultural and friendly ties in its homeland and the United States, cooperates with historians, the Orthodox Church, the Consulate General and the Russian Embassy, ​​it is carrying out significant work with young people, participating in cultural and sporting events aimed at preserving the Russian language, customs and traditions of the Cossacks in the conditions of emigration, as well as collection and preservation of information on the rich Cossack historical heritage. Partnership contacts of the Russian military historical society and the Cossack People’s Union will bring both organizations to a new level that will help strengthen friendly ties between the continents, study the common history objectively, and preserve the historical and cultural traditions,” conclude the representatives of the Russian Military Historical Society. Now we understand how a part of the Russian budget money goes to funding the network of camps in the United States. By the way, there is a branch of the Russian Military Historical Society in America in the state of New Jersey. It is headed by the Russian activist Valery Annenko. A noteworthy fact is that both Consul General Sergei Petrov and his protégé Stanislav Kholodkov fought around the same time on the side of the USSR in Afghanistan against the Americans. One – in the diplomatic corps; the other – in the ranks of the Soviet special forces. As follows from the information of the Ministry of Foreign Affairs of the Russian Federation, Petrov has been in the diplomatic service since 1986. He speaks English, Farsi and French. Prior to his service in San Francisco, the Extraordinary and Plenipotentiary Envoy of the 2nd form worked in the Russian consulate in Mazar-i-Sharif, Afghanistan from 1986 to 2003. 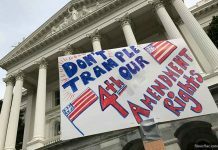 In addition, the above-mentioned persons – Petrov, Owen and Kholodkov – are active organizers of meetings for Soviet veterans from the war in Afghanistan which are held annually in Sacramento. Combat comrades, decorated with Soviet awards, gather in the capital of California to commemorate their fellow army comrades with a shot of vodka while performing military songs, nostalgic for the times of the fallen communist empire. 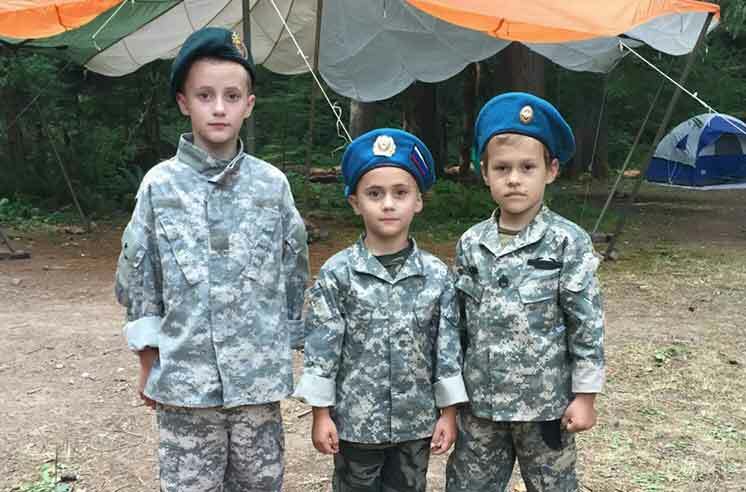 Some of the members of the club help the Cossack colonel recruit children and organize paramilitary fees. 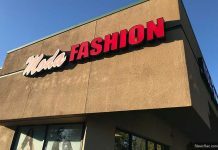 According to the local newspaper Diaspora, which actively promotes various Kremlin propaganda projects in Northern California, such events unite the Russian-speaking community of immigrants. Many Americans are wondering if this means Petrov and Kholodkov, who once fought against the US in Afghanistan, are now thrown by the Russian Foreign Ministry into America to plant troops of Putin’s stormtroopers? It should be noted that one of the main objectives of the Airborne Forces, whose flags are flashing in the forest camps of the Kremlin envoys, are active acts of diversion behind enemy lines. Unfortunately, according to Igor Baboshkin, it is not possible to determine the amount of funds allocated by the Kremlin for the development of the Russian Cossacks in the United States and its suspicious activity – the money could be transported by a diplomatic dispatch from Russia and transferred to the buildings of Russian consulates by emissaries acting on American soil, such as Kholodkov. However, we managed to obtain certain information about the finances of Kholodkov’s family. It turns out that the Cossack colonel receives support not only from Moscow, but also from the educational system of the State of California. 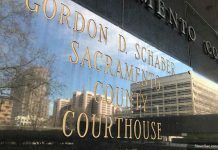 Larisa Gonchar, head of the Community Outreach Academy in Sacramento where Kholodkov’s Karate School has been operating for many years, as well as field shooting with Russian diplomats is organized, did not want to meet with the correspondent of Slavic Sacramento to discuss this topic. A native of Belarus, Gonchar has been receiving textbooks and teaching aids from Moscow for good numbers of years and actively supports the activities of Kholodkov and the Russian embassy. 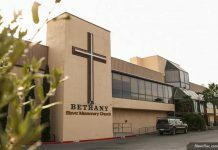 A remarkable fact is that the Community Outreach Academy is the product of Bethany Slavic Missionary Church, and the leadership of this Academy shares a close relationship with the Pentecostal Church. At some point, it was an ordinary Sunday school headed by Adam Bondaruk, a bishop of the church. 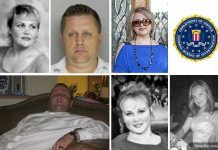 Her assistant, son of Ukrainian protestant bishop Mikhail Serdichenko, claimed that Kholodkov has never received any kind of financing from the institution – which, to put it mildly, is not true in the slightest, seeing that according to the Federal Court of California, in 2008 Stanislav Kholodkov received $45,000 from the school, in 2009 – $35,000; in 2010 – another $26 thousand – totaling only a meager $106 thousand. 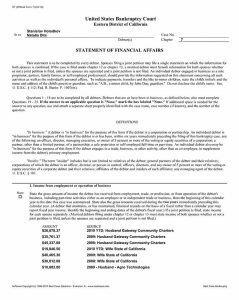 His wife, Natalia Dits, received $30 thousand from the state of California in 2008; in 2009 – $40 thousand; in 2010 – $19 thousand. Another $10 thousand was earned by Kholodkov through the agricultural company Agro Technologies. 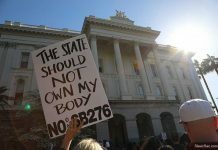 Despite the expulsion of Russian diplomats-spies, military training camps (albeit now without demonstrative use of weapons) are still being conducted in the state of California to this day. To sum it all up, there is an increasing impression that under the surface of Russian Culture in the United States, a slow and deliberate expansion of the “Russian world” is in progress. 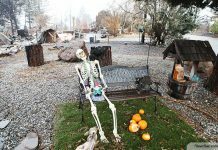 Previous articleКто финансирует кремлевских казачков в Америке?